We have been asking Microsoft for this ever since they acquired Softricity, the company that created the original version, some 10 plus years ago. What we didn’t realize is that by doing these two things, it also eliminated the need for Microsoft to do traditional product marketing for it. So in all of that silence, the only voices we hear are from vendors that want to sell you something else. So don’t be fooled by what you don’t hear. App-V is here to stay and you need it. And Microsoft is betting that you do big time. Why else would they build it into the operating system, and in so many ways. But to make sure that you have some data to counter those silly arguments your boss might hear from vendors; let’s try to address them here. First, a little history. Softricity created the original application virtualization platform back in 2001. They weren’t the only company to try this; several others also tried and faded away or rebranded themselves a few times as the market clearly made Softricity the leader in this space. A few of the competitors in this space are still around, but the market leadership is so clear that I don’t think Gartner even tracks it. Microsoft acquired Softricity in 2006 and rebranded the product as Microsoft App-V. This eventually led Citrix to drop their own competing product (Citrix Streaming) in favor of App-V, although VMware still sells their ThinApp version, even if they don’t do much development on it. Several years ago Microsoft refreshed the App-V product with a re-write from the ground up. Initially the re-write was problematic, and we cautioned customers to give it time to mature until SP2 arrived. While grand in vision for adapting to the needs of the enterprise today, App-V version 5.0 fell a little short in execution – failing to deliver on the promise to simplify Application delivery in the Enterprise due to performance and virtual application issues. But since that time Microsoft has been quietly addressing shortcomings and has been delivering on the promise to deliver simplicity to application preparation and delivery for most applications, while maintaining the option for the enterprise to use advanced techniques on applications that have special requirements. Many of the applications that previously had issues with application virtualization are now a snap to produce, and those paying attention to the changing “best practices” are succeeding. When it comes to applications what is most important is how App-V 5.x has transformed how we look at applications. We use App-V today not only as a delivery and remediation solution for old applications, but as a flashlight to bring out the important details about applications that IT organizations need to understand to be able to deliver application and desktop services to users in a timely and quality fashion. As part of sequencing, App-V exposes more than a half-dozen types of the most common interfaces that applications use. 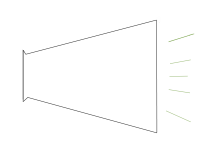 These interfaces, directly supported by App-V, are referred to as “extensions” by the product. And by using a tool like our AppV_Manage analyzer, we can expose a handful of other interfaces, some of which work without App-V needed to manage them, and some which App-V explicitly does not support. This is critical information that allows IT Administrators to understand how the orchestration of multiple applications into a composite desktop for the use can be achieved. Additionally, in App-V 5.x Microsoft has altered the original approach to application isolation that some considered over-isolation. By exposing so many of the extensions outside of the virtual environment, these extensions create a much better and richer user experience that we had with the original product. Microsoft has effectively stopped charging you for App-V. Ever since Microsoft rebranded the acquisition as App-V, the product has always been licensed at the client. The Server and Sequencer components don’t have a license per-se, and if you have Configuration Manager support for delivery of the virtualized applications is supported there without additional cost. The client comes in two forms, one for Windows Server operating systems with Remote Desktop Services (RDS) and one for Windows Desktops. Many years ago, Microsoft changed the licensing for the App-V Client for RDS to simply include the license as a right of the RDS CAL that is already required for end-users to connect to the RDS Server. Microsoft made important changes to the licensing for App-V Client for Desktop operating systems last year. Before then, customers needed to purchase Software Assurance, and then buy an add-on called MDOP. In September 2015 Microsoft eliminated the need to purchase MDOP as an add-on by including it as part of new Enterprise Agreement Software Assurance packages. Microsoft is building the App-V Client into new Operating systems. While there still is a need to install the App-V client on older systems, Microsoft now builds the App-V client directly into the OS on the Windows 10 Enterprise Anniversary version and Windows Server 2016. All you have to do is enable it. And with Windows 10, Microsoft is now making it pretty close to impossible to get the Enterprise version of Windows 10 without Software Assurance, so as you move to the new operating systems, you should be covered. There are some other small details, such as that the App-V client is also included in the Education and SPLA SKUs. App-V is not available in the Professional or Home versions of Windows 10, only the Enterprise version. And finally the sequencer is now delivered as part of the Windows ADK. And yes, it is part of the Windows Server 2016 build also. Vendors with other technology have entered the market in recent years, so without Microsoft really doing any Marketing of App-V, these are the loudest voices. I’ve got nothing wrong with their products. Many of them are pretty good at what they do. But it’s important to remember their marketing/sales motivation when they tell you how hard it is to sequence apps and how easy it is to deliver app with them. I’ve sat through a bunch of those sessions. They start by telling you how hard it is to sequence apps. They’ll stress that you can’t do 100% of the apps with App-V. Much of this is based on outdated versions of App-V, but yeah you’ll never do 100% of your apps with App-V and nor should you try. They tell you how simple it is to do with them. How it is just running an installer and you can get any unskilled worker to do that. They won’t mention performance and conflict concerns, but somewhere along the line they’ll quietly slip in how they can’t handle 100% of the apps and how you’ll still want to use App-V for some of the apps. So let’s be clear about this. The people feeding you FUD to sell you and they are comparing App-V 4.x to what they are selling. It’s the apps that are hard. We try to run apps that were designed in a different era, for a different environment, to work with different requirements or other apps. And the end-users just expect them to work. Every time, with all of their data. Over the last 5 years preparing most apps for delivery has gotten a lot easier. No matter how you deliver them. The real question you should ask is how will you handle the hard ones. And more often than not, that is where App-V is your best (if not only) choice. Of Course, the more options you add into the mix the more training and experts will be required. Companies that do not have staff capable of handling the difficult apps can benefit from using layering, but when faced with difficult apps they will need to replace them. So how do you decide what should be option 1? Here is what I think. In working with customers over the years I have learned that deploying apps and desktops is a complicated process that usually involves a bunch of people. In any complicated process like this, the sooner you locate and deal with problems, the less expensive that process is. When I work with customers on virtualizing their applications, I stress the need to get to know the apps themselves. 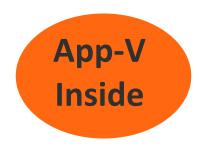 App-V provides a way for us to understand all of the important interfaces between the application and the operating system, between the application and the user, and between this and other applications. It doesn’t matter if the app is from a vendor or built in-house, you want to have that level of detail at hand for when you need to deal with issues that crop up. Of course App-V 5.x still auto-magically hides a number of things that older applications might do; things that might have been OK on much older operating systems but not so much today. While we are seeing fewer apps that break things by replacing incompatible Dlls these days, we still see plenty that break things in other ways. By using a gentler form of isolation than the original product, and building on a richer set of integrations outside of the virtualization wrapper many of the problems induced by virtualization have been solved. Sequencing most apps with App-V 5 is pretty easy, and I will claim those are as easy as any of the alternative choices. Especially when you consider that you’ll probably package once for multiple OSs and app combinations with App-V, and probably have to add the app to multiple images and layers if you go that route. But App-V allows you to deliver the hard apps also. And to dynamically deliver any combination of apps, on demand, without having to pre-think and pre-test that exact combination. Being able to do that without the need to retest other apps that might be impacted gives the IT Department a tremendous amount of flexibility and agility down the road. Looking at the bigger picture, I find that because packaging in App-V enables instant and dynamic application delivery without having to pre-stage and test the full complement of app combinations we save considerable effort at the back end of the delivery process. App-V is here to stay, you need it, and Microsoft is betting big time on that. Microsoft moving App-V into the core of the operating system should be enough to convince you how strategic virtual apps is to their OS strategy. It stands as a shining part of the commitment of compatibility to the past as the OS moves forward. But Microsoft is also providing multiple new options that we can view as derivatives of App-V.
AppX, the format used for Universal Apps should be viewed, in part, as a different flavor of App-V virtualization. The isolation for Universal Apps includes both app to system and app to app. But unlike App-V this isolation is completely rigid (at least as delivered today). While Microsoft looks at Universal Apps as the future, restrictions in what can be done by these apps due to the over-isolation is stopping many ISVs that produce business applications to take a wait and see attitude. Even if today’s Win32 and .Net apps could be built as Universal Apps, it would still take about 10 years for companies to flush out their existing apps, so you will be dealing with delivery of apps through the traditional methods for a while. The Desktop Bridge for Windows (formerly known as Project Centennial) is another outgrowth of App-V that provides a different take on isolation. This also requires ISV participation, which isn’t a sure thing. Desktop Bridge isolation is sort of in-between App-V isolation and Universal App isolation. It allows the app to reach out to work with other traditional apps, but only allows other apps to reach out via two of App-Vs fourteen extensions, FTA and Shortcut. The data isolation of the Desktop Bridge also complicates User Environment Management. UEV, Microsoft’s User Environment Management product, is also built using several of the same components as App-V. UEV is also now built into Windows 10. As are Windows Containers. Containers can be viewed as having one-way isolation. Inside the container, software can see through to the underlying operating system, but software on the operating system cannot see into the container. Similarly, there are no extensions pushed out. On the other hand, Containers adds in network virtualization that isn’t present in any of the other implementations. I expect that Microsoft will continue to surprise us as they evolve their app strategy. Today they are playing with many different takes on how to isolate. But make no doubt about it, isolation is a key part of getting computing to be more secure. They’ll learn from the experiences and, I hope, continue to improve App-V to provide you more options to deal with your app inventory. I met with the App-V team in Redmond earlier this month, and while I can’t talk about what they are working on publicly at this point, you can expect to continue to see an improved product moving forward. Just don’t expect them to make a ton of noise when they do. Nobody at Microsoft is likely to give you a sales pitch on App-V ever again. It’s simply exists as part of the landscape, used by a majority of the enterprises out there much like they use Notepad, Office, and the Task Manager. Don’t let the silence from them on App-V fool you.